While there are hundreds of portable speakers in the market, none of them were developed with musicians in mind until now. Meet iLoud the first portable speaker for musicians. 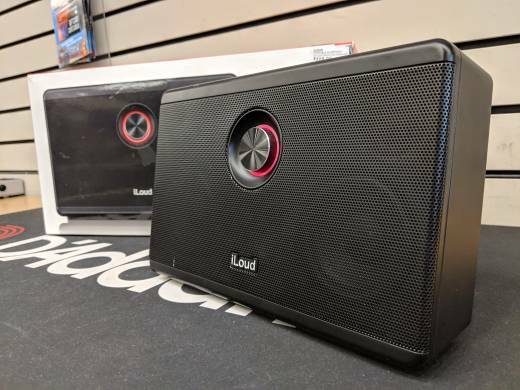 Weve created a portable speaker that combines superior power with spectacular audio resolution and amazing low end. And with over 16 years of pro-audio engineering expertise plus our position as the leading developer of mobile music-creation apps and accessories, we know what were doing. For the first time, musicians can have a portable speaker that sounds like a studio monitor, and allows them to create high-quality compositions and accurate mixes on the go. So grab your iPhone or iPad and just rip out one brilliant tune after another with iLoud. 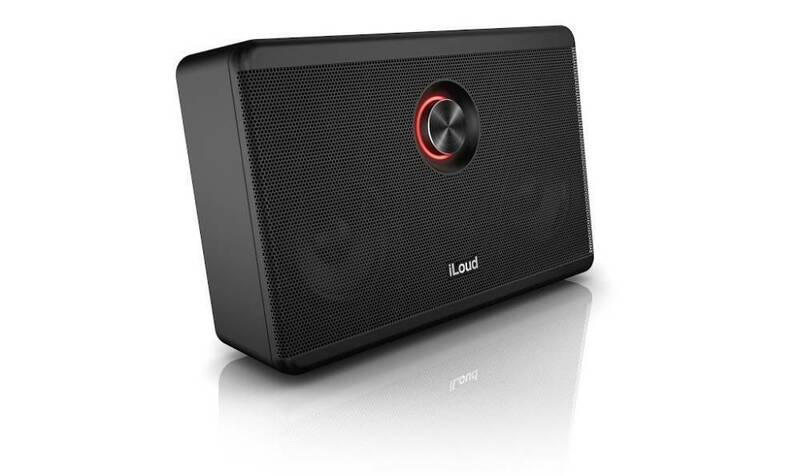 As its name implies, iLoud is much louder than your average portable speaker. 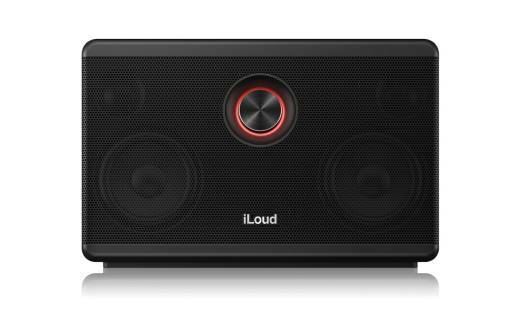 With a full 40 Watts of sonic power, iLoud sounds 2-3 times louder than comparable-sized speakers. It provides a richer, more powerful sound for any type of music style from rock to hip-hop to electronic music. It allows you to reproduce your music in every possible mobile situation as accurately as you would in the comfort of your studio. 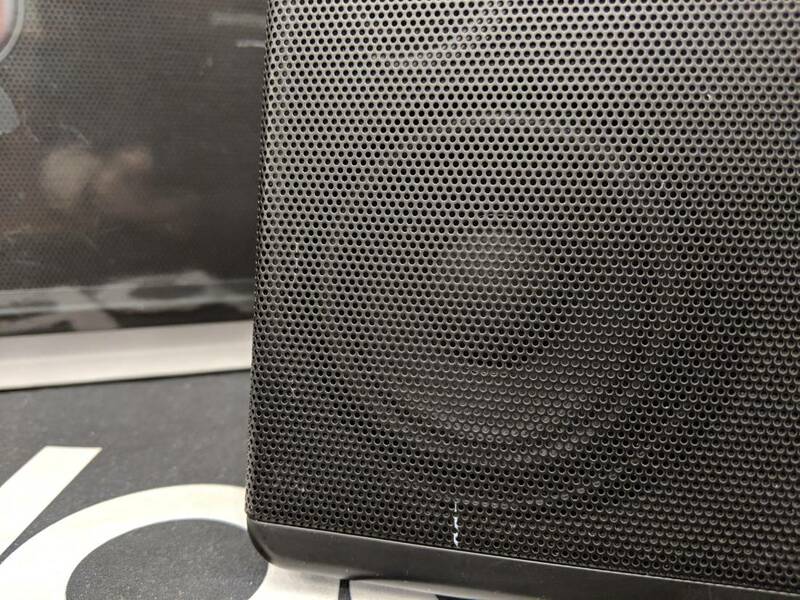 Years of pro-audio experience and innovative engineering solutions have contributed to our ability to produce a speaker this powerful in such a small enclosure. The sound quality and fidelity of iLoud will absolutely blow you away. Together with its high-power output, iLoud also distinguishes itself for its hi-fi sound, which can't be obtained from your generic, off-the-shelf, fancy speaker. 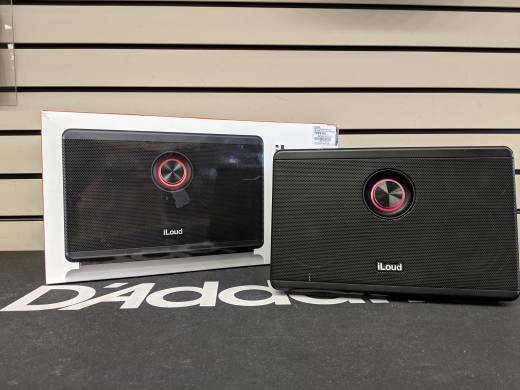 Thanks to its time-aligned 2-way system, precision custom neodymium loudspeakers, tuned bass-reflex, non-resonant enclosure and DSP processing, iLoud offers an ultra-accurate frequency response, exceptional low-end and stereo imaging that can't be found in any other portable speakers in its category. With iLoud you can be confident that any type of music will be reproduced with the accuracy normally found only on high-grade studio monitors. Even highly demanding sound textures like you find in classical music, jazz or acoustic, will come to life with a precision and musicality that you've never heard before on a speaker of this size. Heres where it gets interesting. Grab your guitar and plug it into iLoud, plug in your mobile device, launch your favorite mobile app like AmpliTube or VocaLive and start jamming and recording. 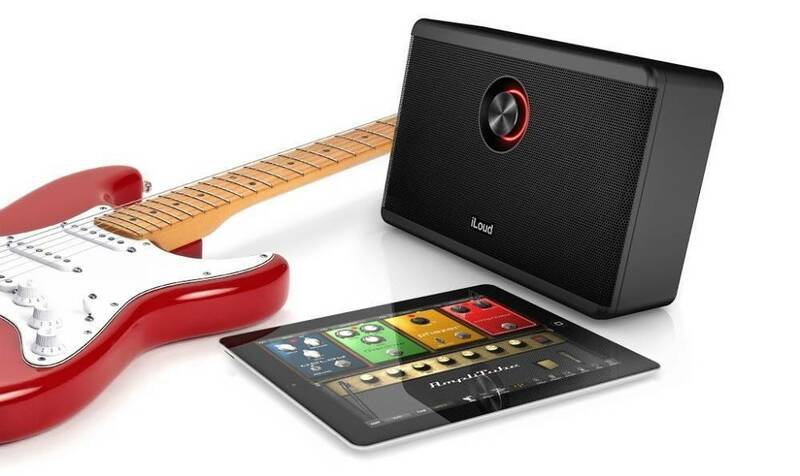 iLoud features a built-in iRig circuit for directly connecting a guitar or a dynamic microphone, and allowing you to take advantage of the real time sound processing of your favorite mobile apps. Not only does iLoud offer the characteristics typical of a high-end system, but it packs them in an ultra-small enclosure that can be easily carried anywhere in a laptop bag or a backpack. It has the overall dimensions of an iPad, is only 6 cm (2.3) deep, and features a tilted shape for optimal listening on a desktop. 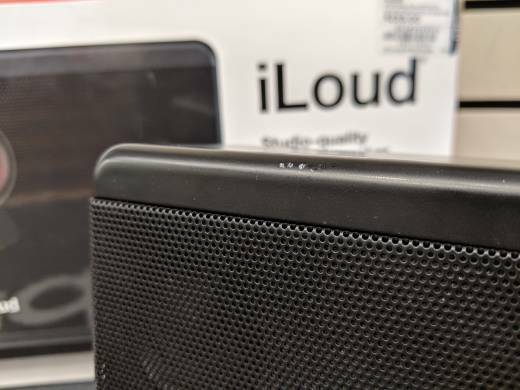 Thanks to its long-lasting battery, iLoud is the ideal speaker to be carried around by mobile musicians, whether they're composing, recording, or they simply want to listen to high-quality music anytime and everywhere. To protect your iLoud when youre carrying it around, you can order the iLoud Travel Bag, a durable, 100% polyester case featuring a stitched-in iLoud logo, adjustable straps and a zippered pouch for cables and other small items. - 40W total power (2x16W low-frequency, 2x4W high frequency). - Frequency response 50Hz to 20kHz. - Four Class-D Amplifiers, bi-amped system. - Two way 2x3 neodymium woofers & 2x3/4 neodymium tweeters. - High performance bass-reflex port. - 1/4 iRig input for connecting guitars and dynamic microphones to iOS devices. - Bluetooth compatible with A2DP protocol. - 1/8 stereo analog line input. - Superior low-frequency extension and sound accuracy. - Integrated high-performance Li-Ion rechargeable battery. - Battery duration at maximum volume: up to three hours. Normal usage: up to ten hours. 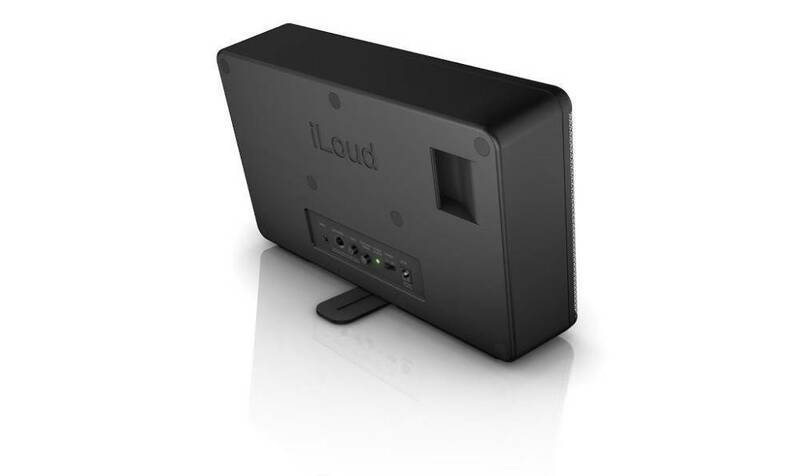 iLoud is designed to be used with most Bluetooth-enabled devices including iPhone, iPad, iPod touch, Android smartphones and tablets, and most Mac or PC computers. Its also equipped with a wired input for connecting an MP3 player or other non-Bluetooth device, using a standard 1/8 (mini) cable. I bought mine at Long and Mquade several years ago along with the IK Multimedia keyboard, and it is phenomenal. I used my guitar also, but it overheated at higher volumes and shut down. However, for a speaker for your phone, ipad, etc., it's the best, much better than more expensive competitors. Our grandkids love putting their music on the iphone and dancing to this. Easy to connect with Bluetooth. This year our 11 year old granddaughter takes it into the dressing room before a hockey game, and her team mates love it. I never write reviews but since this product came up when I opened the site I thought I'd add my 2CW. 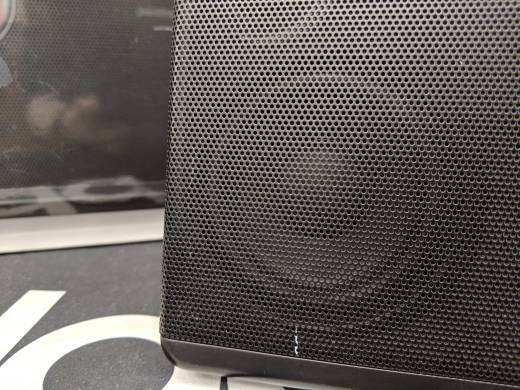 Sounds great, I first got it for late night mixing and to be a good little speaker to mix and A/B on when getting tired of the larger monitors. Works great for this purpose. I've had it a few years now and it also makes it's way to the backyard and beach, great builtin rech battery. I've also dropped it about 4 times from 2 to 3 feet and it rocks. I use it with an mp3 player, ipad and iphone, with Amplitube for electric guitar and SampleTank and irigkeys pro; amazing sound. Plenty of volume for home use, and lots of versatility using the IKmultimedia apps plus any other music apps on the ipad or iphone. I'm selling my guitar amp, I have so much available from Amplitube playing through the built-in irig circuits in iloud. A great buy compared to other units that are far less versatile.